I read Marcus Clarke's excellent For the Term of His Natural Life recently. I thoroughly enjoyed it and recommend it to anyone, wishing to learn more about Australia's convict history. This novel was grim and painted a brutal picture of convict treatment. It also made reference to genuine 19th century events where escaped convicts, including a certain Alexander Pearce, resorted to cannibalism among themselves to survive in the bush. If you are interested, The Last Confession of Alexander Pearce is a recent docudrama which aired on the ABC in January 2009 and explores this disturbing story. But returning to Clarke's novel and noting that it was published in the early 1870s, I found it to be a refreshing and honest revelation of events that are normally avoided by the modern Australian psyche. Marcus Clarke was an Australian journalist with a brilliant literary record delving in topics from psychology to history. I admire his writing because it is critical of the established ideologies of the time but remains poetic and sentimental enough to appeal to some readers' need for drama. For the Term of His Natural Life also includes thematic references to the Count of Monte Cristo which added a romantic slant to the story. After having read the novel, I lamented at what seems a lack of connectedness between Australians and their convict past. There is a lingering injustice which has not been addressed but instead swept under the carpet. I feel that some Australians address and, in some cases, even mull over the injustices done to Aborigines but remain blissfully unaware of one other injustice which has shaped the Australian spirit even though its influence is scarcely acknowledged. What injustice do I speak of? Well, it is my view that the foundations of main Australian cities, at least those of Sydney, Hobart and Brisbane have been constructed from years of exploitation. When I look around Brisbane, I now see it differently. Ironic that my new sense of awe has arisen from something so ugly as White slavery disguised as moral punishment. But this awe comes to me, I believe, because I feel respectful of those men, women and yes, even children as young as 10, who did not have a choice and who were unscrupulously exploited by a system which called itself righteous and lawful. Australian culture is not necessarily only derived from the darkness of convict existence since after all, culture is more complex than that. In addition, most members of the Australian population have no convict past whatsoever since there were also many migrants from Europe and Asia who since the 19th century have influenced who Australians are today. But by the same token, and this may upset some people, I feel that we need to look beyond sport to discover the Australian identity. It is my view that Convict history has had an impact on Australian culture even if most Australians are unaware of it. This is one of the ideas advocated by the amazing Convict Creations, a website that I discovered recently and which among other subjects, explores Australia's culture and compares it to that of other countries. The author, who wishes to remain anonymous, but who I will call Convict Wally, uses a methodology based on social psychology which I can not praise enough. Wally's approach for explaining and exposing historical events, characters and Australian culture is fascinating. 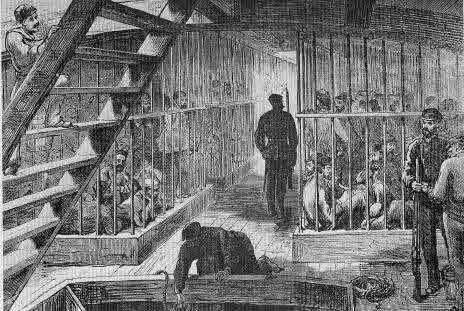 He also describes the plight of convict women and the harsh treatment of convicts (men, women and children). He also examines the unfair reasons a convict was likely to have been imprisoned for. So these are a couple of my views anyway. One of the arguments that Convict Wally raises is that Australia has overachieved in sport and business. On the other hand, he believes that Australia has underachieved in environmental concerns and culture, especially where this culture touches on the intellect. I completely agree with that. Incidentally, Wally provides a satirical section on sport aptly called "The Demise of Australian Sport. RIP", an article which only too clearly voices the author's attitudes. Enjoy! If you are interested in this fascinating Australian culture which barely knows itself and grapples even today with its identity, do take a peek into Convict Creations. One thing I find disturbing in the Australian landscape is the subconscious urge to escape our convict history as if it were something to be ashamed of. Admittedly there are a few sites such as this one, dedicated to convict genealogy but what I am alluding to is the gross absence of landmarks and buildings that seem to reinforce the notion that convict history never happened. Blessed the powers that be in 'protecting us' from remembering the vile conduct of authority figures. Indeed. This may seem fanciful but I have a vision for Brisbane where every single location of convict significance would be properly landmarked, labelled for better recognition and for encouraging awareness of the past. I realise it is an ugly and somewhat morbid attraction but to me, what is uglier is the dissimulation of truth. This is what we have been doing so far (except perhaps in Tasmania at Port Arthur). To begin, Queen Street mall in Brisbane used to be the home of several prominent convict buildings. One of these extended from the intersection with Albert St to what is now the Myer Center. Isolation prison cells were scattered in George St. You can read more about Brisbane's early convict buildings here. 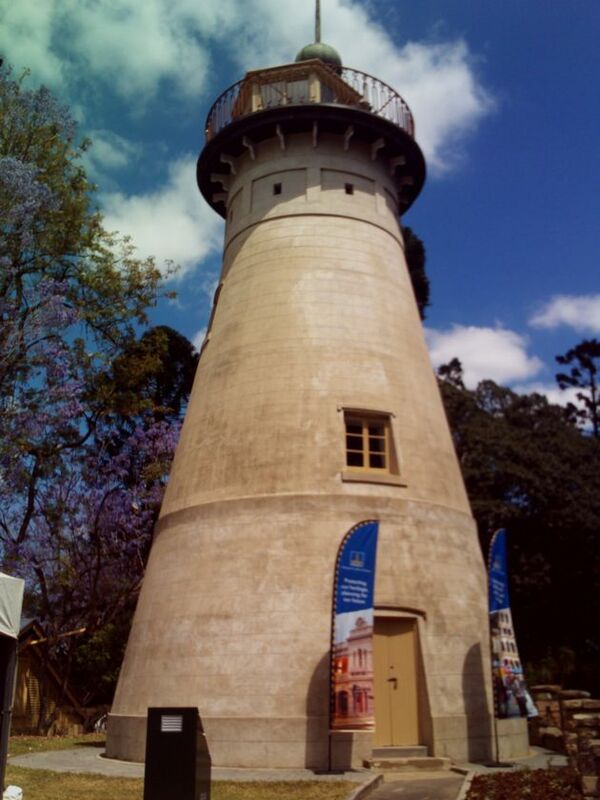 In addition of course, there is Boggo Road Gaol and St Helena Island which are part of the tourist trail. Brisbane's oldest surviving European building is this windmill, located at Springhill. It used to be attached to a treadmill where prisoners laboured for hours. And I'm not talking about your average gym treadmill but one on which prisoners did die of exhaustion. Incidentally, a recent project will see this windmill added to the tourist trail. It's about time. Escaping from truth, any truth, is not conducive to identity shaping and cultural growth. The history of a country shapes its people over many generations. Just as childhood abuse impacts on an adult's psyche, multiple generations in a country may be shaped by dramatic events suffered over a period. The process is complex but does exist. Choosing to ignore tragic events does not bring the necessary awareness for growth. One must reflect, absorb and come to terms with the past.